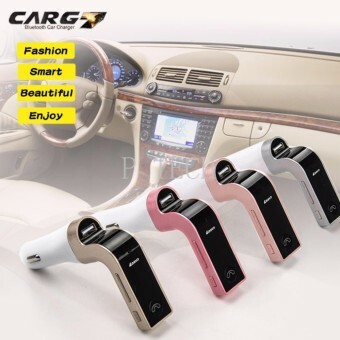 This product is Bluetooth Car Charger MP3 Player for the vehicle. professional level customized high-performance Bluetooth module, built-in MP3 / WMA decoder chip to make it able to reproduce the music flies U disk, firing into the car stereo via Wireless. In addition, during the Bluetooth connection, the phone's music player and FM transmitter for car audio, perfect, as incoming call automatically switches to the state speeaker, call end, then automatically back the music player. So you do not make any modifications, easily enjoy the music and hands-free phone calls while driving. This item not only support Bluetooth Handsfree call, but also playing music.